Often overlooked, the letterhead can be an effective marketing opportunity for your business. A well-designed letterhead suggests your company is successful, credible, trustworthy and established. It also reinforces the brand identity of your business and helps recipients recognise who the letter is from in an instant. A good letterhead design will comprise of an image, which may typically be your company logo and may or may not include a small amount of text. A well-designed letterhead can be eye catching and memorable and when printed on high quality paper it can help drive trust in your business. 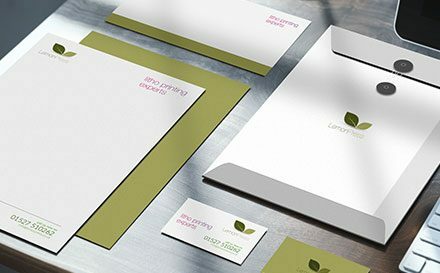 There are three key steps for creating a well-designed letterhead, let’s take a look at each one in a bit more detail. This is by far the most important step when creating your letterhead as it is imperative that your letterhead represents your brand and your business. When designing your letterhead consider your brand guidelines to ensure it is consistent with all your branding and marketing materials. Ensure you use your brand colours, fonts and imagery to represent your brand in your letterhead. If you are including a central message in your letterhead design, ensure it is one that is used across your marketing and not a new one that will be unrecognisable. Alignment and positioning are imperative in ensuring your letterhead design appears professional and smart. It is good practice to think about how your letterhead design will look on a blank page and also on a page that is filled with formatted correspondence. For example, if you are thinking of aligning your letterhead to the left, think about how that will look with other text on the page and how it could alter the design, does it look unbalanced or does the letterhead look strange once the page is filled? Colour is a great way to draw attention to your design, but it is imperative to not over do it with your letterhead design or any design for that matter. Not only does it draw the eye to your letterhead design it can also be used to communicate ideas, emotions, create associations and reinforce your brand identity. Think about the correspondence that is likely to appear on the paper which features your letterhead design and how it will work together, also be sure to use your brand colours as set out in your brand identity guidelines. Lemon Press has a 3,000 sq.m print production facility in Redditch. Our printing premises have been extended and are equipped to suit our growing needs, enabling us to invest in a long and stable future. We run our factory around the clock to ensure we offer unbeatable service.